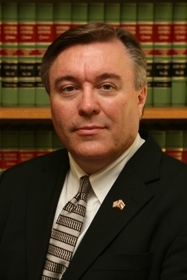 Hal Kittrell is the District Attorney of the 15th Circuit Court District, which comprises Jefferson Davis, Lamar, Lawrence, Marion, and Pearl River counties. He was appointed District Attorney by Governor Haley Barbour in January, 2007, and has subsequently been twice elected to the position. He served as an Assistant District Attorney for the 15th District for seven years prior to assuming the position of District Attorney. Mr. Kittrell received his Bachelor of Business Administration from the University of Mississippi in 1980. He received his Juris Doctorate from the University of Mississippi School of Law and was admitted to practice law in the State of Mississippi in 1984. He was engaged in the private practice of law for 16 years before joining the District Attorney’s Office. During that time he served as the Informal Adjustment Officer for the Marion County Youth Court and also served as a part-time Marion County Public Defender. Mr. Kittrell is a Fellow of the Mississippi Bar Foundation. He has served on the Character and Fitness Committee of the Mississippi Board of Bar Admissions for the past 20 years and has previously served as a Commissioner of the Mississippi Bar and past president of the Marion County Bar Association. He presently serves on the Bench/Bar Liaison Committee and is a Section Officer for the Prosecutors Section of the Mississippi Bar and a former member of the Board of Directors of the Mississippi Prosecutors Association. Mr. Kittrell is an active member of First United Methodist Church of Columbia. He serves as Chairman of Administrative Council. He has formerly served as Chairman of Finance and Staff-Parish Relations. Mr. Kittrell is married with two step-daughters and seven grandchildren. Hal is only as good as the team that supports him.